However, Grammer nor CBS TV Studios have commented. Frasier was one of the definitive sit-coms of the 1990s and remained so until its final episode in 2004. Deadline reports Grammer is fielding interest to put together a new series, likely set in a different city, with the main character Frasier Craine to once again be the focal point. His disabled father, a former police officer, soon moves in with his dog, and Frasier's fastidious brother Niles is always on hand for a dose of sibling rivalry. However, the show's constant re-runs feels like it never went away. 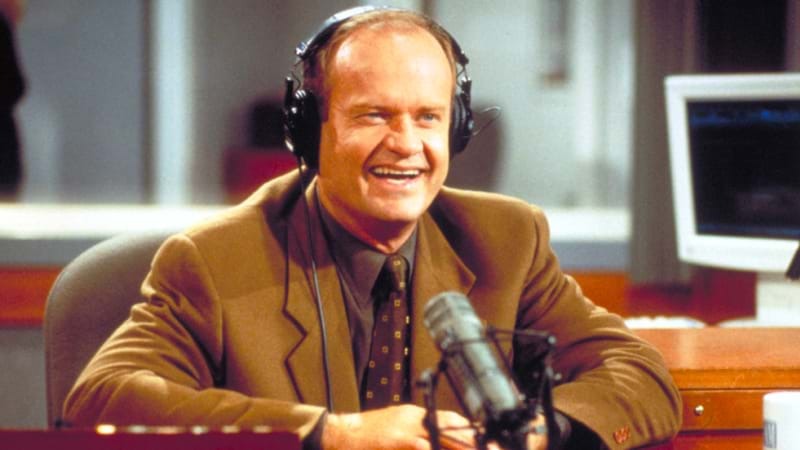 Kelsey Grammer is reportedly developing concepts for a reboot of Frasier, which starred Grammer as the quick-witted radio psychologist Frasier Craine. A spin-off called "The Conners" has now been ordered, coming to the network this fall. A spinoff of NBC's long-running comedy Cheers, Frasier aired for 11 seasons from 1993 to 2004. Grammer first portrayed Dr. Frasier Crane on "Cheers", which took place in Boston. CBS Television Studios are now in the "very, very early" stages of rebooting the popular sitcom - which ran for 11 seasons from 1993 to 2004 on NBC - with its original star Kelsey Grammer, though the project isn't yet officially in development. If renewed, the new show would join the growing list of TV sitcom reboots, including "Will & Grace", "Murphy Brown" and the recently canceled, "Roseanne".